Dr. Jason Minogue specializes in the National Upper Cervical Chiropractic Association (NUCCA) protocol to address the primary cause of many health challenges that frequently don’t respond to other methods of care. Welcome to Houston Spinal Care! 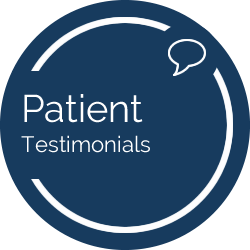 Read what other chiropractic patients are saying after coming to Houston Spinal Care. The difference at Houston Spinal Care is our approach. The NUCCA procedure allows us to discover the cause of a patient’s problem and correct it, restoring their health to what it was before their problem started. We’d like to get you back to functioning optimally! Call Houston Spinal Care today to schedule a consultation. After receiving the benefits of NUCCA chiropractic I developed a great desire to share it with others. So I studied this specialized technique at the prestigious Palmer College of Chiropractic and have been active in NUCCA ever since. Houston Spinal Care is the only NUCCA practice in Houston, Texas. I look forward to helping you and your families obtain optimum health! It’s a great feeling to have hope that someone is willing to try and help with a disease that everyone else can only medicate symptoms, and the relief in hip pain is an added bonus. I am so glad we found a Nucca specialist, and it is worth the drive to get there! We were extremely impressed with the receptionist and the doctor to communicate with us in Spanish. That made our visit much more real. We felt we have finally found a place where they will take us seriously and attentively listen to our complaints and symptoms we have and will help in finding a way for us to get better. - Victor and Anna R.
I feel so much better after each visit. 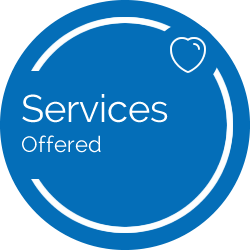 I am very pleased with the excellent service and attention you give each of your patients. The customer service and response to questions are far beyond any other doctor I have visited. Great experience! Very caring and genuinely concerned. I was very impressed with the service and knowledge of not only my doctor, but the young lady up front as well. I look forward to my next visit! I’m so happy I found a NUCCA chiropractor in my area, NUCCA has made such a difference in my life with chronic pain. I am thrilled to be starting care here. After my first appointment I am convinced that I am in great hands with Dr. Jason. 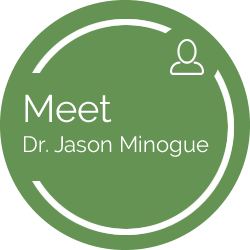 Dr. Jason is very knowledgeable and makes you feel at ease. He is able to explain things so well that us non-medical people can understand easily. Very professional and the clinic was nice and clean! Dr. Minogue listened well and took good notes. He explained the process and the outlook for my particular situation very well and made sure my questions were answered. Excellent communication skills and a very nice office environment. Very friendly and helpful staff! Dr. Jason was very kind and explained each thing he would be doing. I’am excited to get started and on the road to feeling better. I am being seen for trigeminal neuralgia and I’m so grateful that I have finally found help for this very painful condition. Finally I am feeling relief, finally getting my life back. I can eat, talk, smile, wash my face, brush my teeth, without pain. My quality of life is coming back. Thank Your Dr. Minogue and Berenice! I am very excited to have an avenue to health that has never ever been addressed by any other healthcare professionals. Dr. Jason & Bernice are amazing!! Super friendly atmosphere. They make you feel welcome. Doctor is very down to earth and personable. I loved Dr. Jason. He is interested in treating the whole person – physically, as well as emotionally. I feel so blessed to have found you and cannot wait to be on this path to improved health and healing with you! Everything was great, thank you very much!